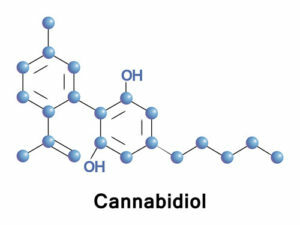 Cannabidiol can be extracted from cannabis (marijuana), industrial hemp, or synthesized in the lab. Both hemp and marijuana are versions of the Cannabis Sativa L. plant. The percentage of CBD in hemp plants by dry weight is lower than the percentage of CBD in some hybrids of medical marijuana plants. But once the oil is extracted, the molecular structure of CBD is the same regardless of the source. 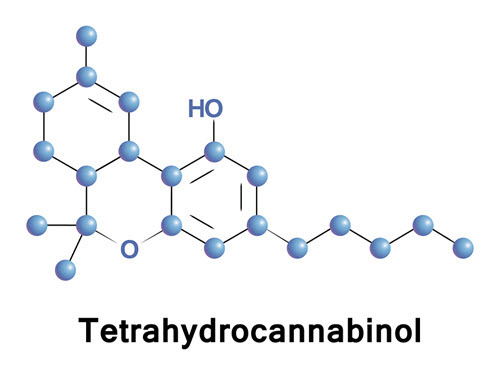 CBD does not have the same psychotomimetic (mind-altering) effects as the main plant compound THC (Δ9-tetrahydrocannabinol). In fact, CBD is able to counter the mind-altering effects caused by THC. CBD extracts primarily come from cannabis flowers and leaves of the marijuana plant. And from the flowers, leaves and stalks of hemp. Hemp oil comes from the seeds of the hemp plant. But does not offer the same therapeutic benefits as CBD Oil. CBD Oil and hemp oil are not the same and should not be confused. You will not experience the same nootropic benefits with hemp oil as you will with CBD Oil. 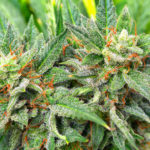 Note that depending on the hybrid, cannabis provides 5 – 35% of THC. While hemp is regulated to contain less than 0.3% THC. In 1999, the U.S. Department of Health and Human Services obtained a patent for the neuroprotective effects of cannabinoids (US patent 6630507). To protect the brain from neurodegenerative diseases like Parkinson’s, Alzheimer’s and other forms of dementia. Neuroprotectant: CBD acts on CB2 receptors to produce anti-inflammatory responses in brain immune cells. Oxidation contributes to the damage seen in diseases like Alzheimer’s and Parkinson’s. And inflammation has been associated with depression. CBD helps reduce this oxidative damage and inflammation. How does CBD Oil work in the brain? How does CBD Oil feel? 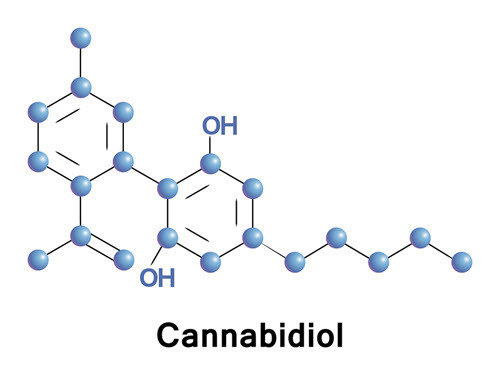 Cannabidiol (CBD) is one of over 120 phytocannabinoids that have been isolated so far from Cannabis sativa L..[v] The other major phytocannabinoid is THC (Δ9-tetrahydrocannabinol). CBD was first isolated in pure form in 1940 simultaneously from American hemp[vi], and from Egyptian hashish[vii]. Since then, much more research has been conducted on THC compared to CBD. Likely because THC produces psychotomimetic effects (it can make you high), and CBD does not alter your mind. In fact, clinical studies and reports by ordinary neurohackers show that CBD can help prevent the psychotic-like effects induced by high doses of THC. Cannabis is native to Central and South Asia. And has been used for millennia to produce hemp fiber for bowstrings, clothing, rope, livestock feed, medicine, religious ceremonies and recreation. People were using cannabis to get stoned thousands of years ago. But it has only been in the last few years that scientists have begun to piece together how and what cannabis does in your brain. Endocannabinoid is short for endogenous cannabinoid. Endogenous means it’s native to our bodies. The endocannabinoid system (ECS) is a group of receptors located throughout your brain and body. And consists of signaling molecules and their receptors. The two primary endocannabinoid receptors are CB1 and CB2. CB1 receptors are found primarily in the brain and central nervous system. It is the main molecular target of the endocannabinoid anandamide which is produced in your body, and the THC you get from cannabis. The other main endocannabinoid is 2-AG (2-Arachidonoylglycerol) which is also produced in your body, and CBD which you get from cannabis. Both 2-AG and CBD are active at both the CB1 and CB2 receptors. But CBD cannot bind directly with the CB1 receptor like THC. CB2 receptors are mainly expressed in immune cells in your body. The overall function of the ECS is to maintain balance in the nervous system. Normally we think of neurotransmitters as moving in the direction of synaptic firing. In other words, it’s moving from the sending neuron to the receiving neuron to produce some action. Endocannabinoids, on the other hand, are unique because they act more like retrograde neurotransmitters. They act in the opposite direction of synaptic flow. Endocannabinoids in the synapse temporarily reduce the amount of neurotransmitter released from the sending neuron. Meaning the receiving neuron exerts control over the amount of neurotransmitter that it receives. Now let’s circle back to cannabis. 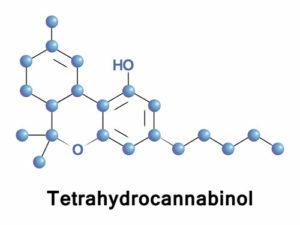 CBD and THC are collectively known as cannabinoids. And both interact with CB1 and CB2 receptors in your body and brain. CBD is also an agonist of the 5-HT1a serotonin receptor. [xi] So the combination of increasing anandamide and serotonin activity likely provides the anti-anxiety and antidepressant effects of CBD. But we’ll dig into more detail on how CBD works in the brain in the next section. CBD Oil boosts brain health and function in several ways. But two in particular stand out. CBD Oil is anti-anxiety. Human and animal studies show that CBD works as an anxiolytic. [xii] The first human study was published in 1982 on the interaction between CBD and THC. The study worked with 8 healthy volunteers with a mean age of 27 years. The participants had not used cannabis in the previous 15 days. In this double-blind procedure, the volunteers received CBD, THC, THC + CBD, diazepam, or a placebo in different sequences and days. Several other studies with humans have since been conducted to determine how CBD produces this anti-anxiety effect. The consensus appears to be that CBD alters blood flow in specific areas of the brain. One study had healthy volunteers using 400 mg CBD or a placebo in a double-blind trial. The researchers concluded that CBD significantly reduced anxiety. The study found that CBD increased brain activity in the left Para-hippocampal gyrus and decreased activity in the left amygdala-hippocampus complex, including the fusiform gyrus. CBD Oil is antidepressant. Reviews of many who regularly used CBD oil report its antidepressant effects. Studies have shown that CBD inhibits 5-HT1a serotonin receptor activity. Which would raise levels of serotonin and provide an improvement in mood. 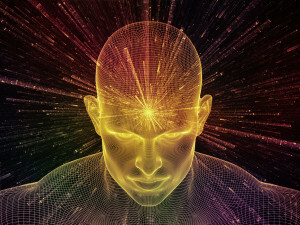 Other studies have shown that CBD facilitates other actions in the brain both in humans and animals that could contribute to improvement in mood. Including modifying the function of the several receptors such as CB1, CB2, GPR55, TRPV1 and 5-HT1A neuroreceptors. The primary culprit behind brain and neuron damage is oxidation and inflammation. And this damage can happen at any age. It’s influenced by our environment, toxins, food, stress and more. The CBD movement really gained traction because of a little girl named Charlotte Figi. She had a severe form of epilepsy called Dravet Syndrome. Charlotte first started having seizures when she was only 3 months old. By the time Charlotte reached 5, she was experiencing 300 grand mal seizures a week. Her parents had tried every therapy they could think of by then. And nothing worked. Charlotte had lost the ability to walk, talk and eat. Her heart had stopped a number of times. Doctors had lost all hope of helping this child. As a last resort, Matt and Paige Figi decided to try medical marijuana with their little girl. Paige located a Denver dispensary that had a small amount of marijuana called R4. It was low in THC but high in CBD. The results were stunning. Charlotte started with a small dose of R4. And the seizures all but stopped. She now takes 3 – 4 mg of CBD oil per pound of her body weight with food. The last 5 years have shown a remarkable increase in publications on CBD mainly stimulated by the discovery of its anti-inflammatory, antioxidant and neuroprotective effects. 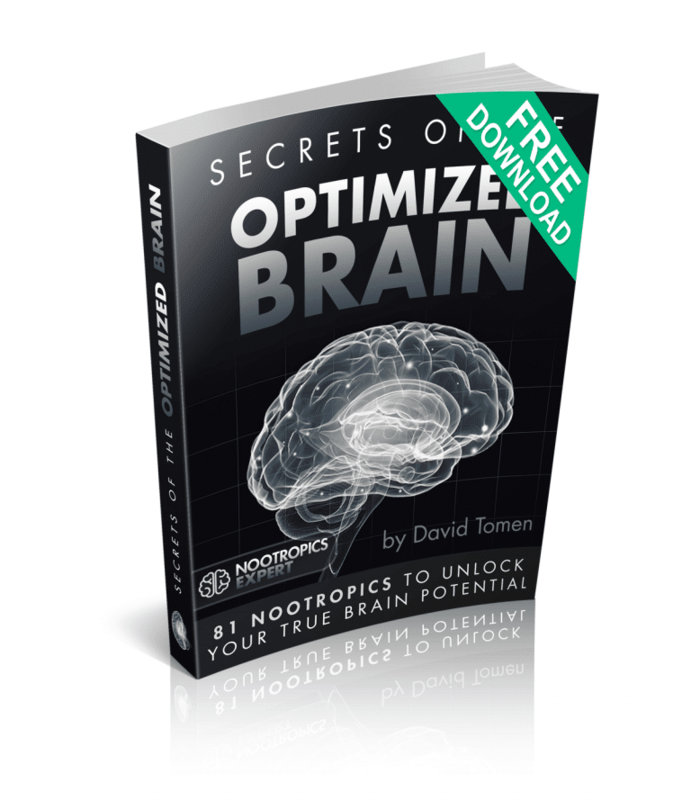 Much of the evidence we have with CBD and its benefits to the brain come from everyday users of this nootropic. Some are backed by “hard science” and clinical trials. But it’s still early days in CBD research. Most neurohackers report when using CBD oil for the first time that years of pent-up stress and anxiety begin to fade. Many find CBD effective in relieving the symptoms of depression. You should also experience an improved quality of sleep. Along with an overall improvement in mood. Many report relief from pain caused by fibromyalgia, arthritis, lupus, migraines, and back surgery. Several user reviews reported remission from various types of cancer. Several animal studies back up this anti-cancer benefit. CBD seems to be effective in relieving the symptoms of bipolar manic depression. Others report the absence of seizures from epilepsy since starting CBD oil. Overall, CBD oil offers a calming effect for most who’ve tried it or use it consistently. And many talk about their “first good night’s sleep in years”. The clinical research for CBD published in the last few years is impressive. 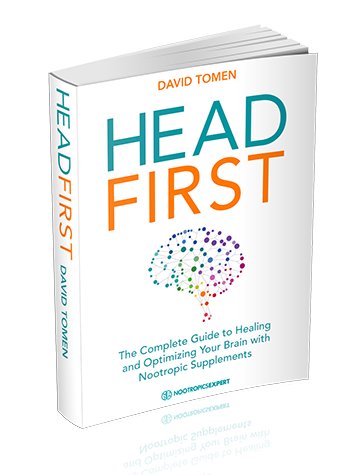 But we can group many of these studies into four primary categories; neuroprotection, stress recovery, immune system balance and homeostatic regulation (energy balance). Has a few hits off a joint or bong ever made you feel anxious? Turns out that the problem is likely due to too much THC and not enough CBD. THC produces stimulating psychoactive effects, and CBD works opposite by quelling mind-altering reactions. THC can cause paranoia and CBD does not. Another study in Brazil investigated the effect of CBD on the paranoia often associated with public speaking. In this trial, 24 patients diagnosed with social anxiety disorder participated. Half the patients received 600 mg CBD and the other group a placebo. 1 ½ hours after using CBD or the placebo, patients participated in a simulated public speaking test. Cannabidiol (CBD) has been shown many times in animal studies to alleviate depression using various models. CBD activates the 5-HT1A (serotonin) receptor. Which could be behind CBD’s antidepressant effects. In one study done in Brazil, male Swiss mice were given CBD, imipramine or a placebo. The mice were then put into a forced swimming test. Several clinical trials have concluded that CBD is effective in reducing epileptic seizures in children with Dravet Syndrome. The authors of these studies note that the majority of these children have a mutation in a receptor channel that is expressed in inhibitory neurons associated with the GABA system in the brain. And it turns out that direct modulation of GABAA receptors by CBD likely contributes to the therapeutic effects in those with severe epilepsy. Researchers at the University of Sidney investigated the effects of CBD on human GABAA receptors. The team inserted electrodes into egg cells implanted with human GABAA receptors to measure changes in electrical current following GABA administration and exposure to either CBD or 2-AG. 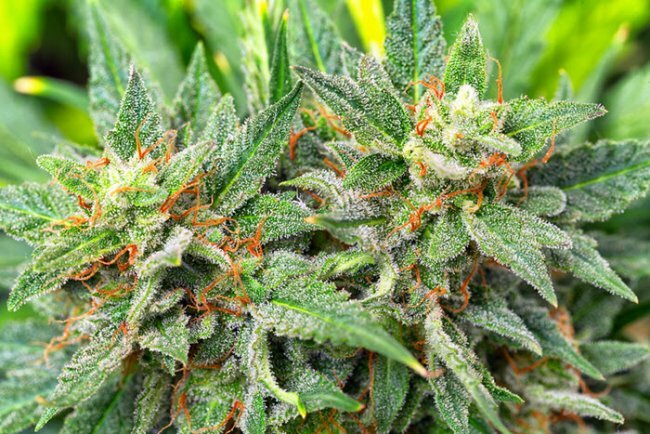 The results showed that both CBD and 2-AG are able to modulate electrical currents via changes in GABAA receptor activity. Both were able to exert their effects on receptors that didn’t respond to benzodiazepines. Recommended CBD Oil starting dosage is 4 – 45 mg per day. Now if you’ve done any research or have practical experience using CBD Oil, that recommended dosage is not very helpful. It’s merely a good starting point to see how your body reacts. Dosage of CBD Oil depends on the condition you are treating, your body weight, and how your body reacts to Cannabidiol. Dosages differ from one person to the next. These dosage recommendations are based on using pure CBD Oil extracted from Cannabis sativa including hemp but contains no THC. Many in the Cannabis world maintain that a combination of CBD and THC in varying ratios will provide greater therapeutic value than using CBD or THC alone. So it’s up to you to decide, based on availability and your own personal choice, whether to use pure CBD Oil or a CBD product that combines CBD with THC. The science is clear however that CBD Oil provides amazing therapeutic benefits and can be used on its own. Most neurohackers can use CBD Oil without experiencing any unpleasant side effects. And the few that do will get minor symptoms such as mild indigestion, diarrhea, or dry mouth. Most human clinical studies include side effects reported by study participants. For example, a study published in the Brazilian Journal of Medical and Biological Research noted that “chronic administration of CBD for 30 days to healthy volunteers, at daily doses ranging from 10 to 400 mg failed to induce any significant alteration in neurological, psychiatric or clinical exams. There is no lethal dose for CBD or THC. 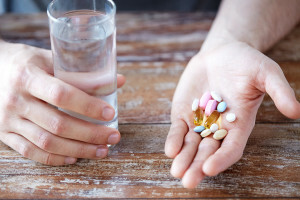 So while you can’t do permanent damage to your body, you will likely find that lower doses are often better and more effective than higher doses. Unwanted side effects are usually caused by poor quality CBD Oil from unreliable brands. Quality matters! Hemp absorbs toxins like mercury and lead from the earth it’s grown in. So where your CBD Oil comes from can make a big difference. CBD is available in capsules, concentrates, tinctures, topicals, sprays and vapes. I recommend Diamond CBD products including CBD oils, vape liquids, edibles, drinks, topical lotions, and pet products. Diamond CBD have an excellent selection of high quality CBD Oils, and their Liquid Gold Vape liquids are particularly good. 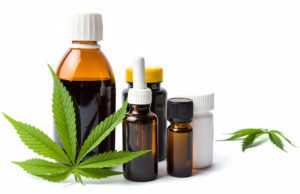 Tinctures are the most common form of CBD on the market. And likely the most pure form of CBD. Dosages range from 100 – 1000 mg. So do your research on what strength to choose. Tinctures are great for using CBD sublingually. Concentrates are similar to herbal extracts in that they can contain up to 10-times the concentration of CBD compared to a tincture. Similar to tinctures, concentrates of CBD work well sublingually. 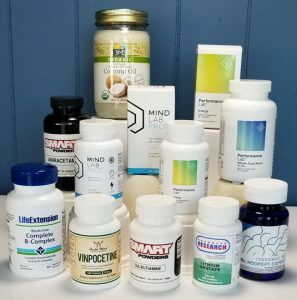 CBD capsules are usually 10 – 25 mg of CBD Oil. Capsules are the easiest way to keep track of your daily dosage. Just add the capsules to your nootropic stack. Topical CBD comes in lotions, lip balms, and salves and are used for chronic pain, inflammation, psoriasis, acne, skin cancer and anti-aging. Read the label to find out what type of technology the product employs to deliver CBD through the dermal layers of your skin. CBD sprays are usually the weakest concentration compared to other forms of CBD ranging from 1 – 3 mg per spray. But they’re easy to carry around with you. Vaping CBD seems to be the least effective form of CBD. If you decide to try vaping CBD, ensure you avoid vape juice or vape pens using propylene glycol as a carrier. Vaping propylene glycol produces nasty toxins like formaldehyde when heated. When searching for a CBD vendor, always ask for third party lab results. And pay particular attention to labeling to determine exactly what’s in the bottle and where the CBD was sourced from. User reviews can be especially helpful in choosing a high quality CBD supplier. We recommend using CBD Oil as a nootropic supplement. Your body does not make CBD Oil on its own. So to get its benefits you must take it as a supplement. CBD Oil is especially helpful for those dealing with anxiety and depression. CBD increases the bliss neurotransmitter anandamide, GABA and serotonin. And helps tame inflammation in the brain. CBD Oil is also particularly useful for treating epilepsy. Purity and dosing is everything when using CBD Oil. And remember that CBD Oil and hemp oil are NOT the same thing. While hemp oil offers several health benefits, it does not contain much, if any, of the phytocannabinoid CBD. Dosing CBD varies from person to person and requires some trial and error. Always start low to see how your body reacts. Slowly increase the dose until you achieve the benefit you’re looking for. User reviews and forums can be very helpful for choosing a vendor and brand of CBD. [xiii] Zuardi A.W., Shirakawa I., Finkelfarb E., Karniol I.G. “Action of cannabidiol on the anxiety and other effects produced by delta 9-THC in normal subjects.” Psychopharmacology (Berlin). 1982;76:245-50. I am trying to find more information about cbd for glaucoma. for cbd and glaucoma mentioned in your excellent video. I’m interested in the amount’s of CBD Oil to treat stage two diabetes ? Also will it help with the pain in degenerative spine ? Mike, I have no clinical data nor user experience in treating Type II diabetes with CBD Oil. If you are looking to treat neuropathic pain then please check the “Dosage Notes” in this review. It depends on the CBD Oil you use and how your body responds to it. Same goes with treating degenerative spine disease. For diabetes, you may want to take a look at Berberine here > https://nootropicsexpert.com/berberine/. But be very careful it you are using insulin or other drugs to treat blood sugar. Because Berberine can drop your sugar too low. Is this a CBD Oil? Andrew, hemp oil and CBD Oil are not the same thing. CBD Oil can be extracted from hemp. But CBD Oil is not hemp oil. I’m interested in the amount’s of CBD Oil to treat leaky brain barrier? And, any other nootropics and/or treatments that can aid with this? Matt, dosage of CBD Oil is dependent on the strength and formulation of the oil. I’m not aware of any specific dosage for CBD Oil and the blood-brain barrier. See each individual review for dosage instructions and possibly specific forms. Do you know your timeline for completing your article on leaky blood brain barrier? Matt, I’ve received a lot of questions recently about a leaky blood-brain barrier. So it’s moved up my very long list of articles to write. I’ll try to get one published within the next month. Thank you for this clear detailed explanation and scientific anslysis of CBD. What would you recommend as the best CBD/Hemp Oil for dealing with social anxiety? Musonda, the CBD used in this study: https://www.ncbi.nlm.nih.gov/pmc/articles/PMC3079847/ used 600 mg of powdered CBD from STI-Pharm in Brentwood, UK in capsules. This study was done for anxiety. The key is finding CBD Oil with very low or zero THC because THC may cause anxiety. Hello – are there any research on CBD for benign tumor such as fibriod? Hello David, I am looking at CBD oil to combat a rare disease Inclusion Body Myositis, IBM for short. It is a muscle wasting disease with no cure or treatment. It sends my CPK levels through the roof, when 100 is the norm mine are in the 2700-3200 range. This inflammation is wreaking havoc on my body. Do you know of anyone who may have use CBD oil for this purpose? And if so, have there been any positive results? I would like to try it to help with the inflammation and pain. Any suggestions on a dosage to start? Steve, we concentrate on brain health and optimization around here. And have very little knowledge about any of the rest of what ails the human species. What makes you think that CBD Oil can have any impact on Inclusion Body Myositis? That may help a little in pointing you in the right direction. Inclusion Body Myositis is an inflammatory disease and is it right that CBD is anti-inflammatory? My father also suffers from IBM and I just came across CBD myself and was thinking to recommend it to him if anyone has heard anything relating to IBM and CBD! Jordan, CBD Oil is considered anti-inflammatory. I suggest you also do a search of Nootropics Expert for other “anti-inflammatory” compounds. Pine Bark Extract comes to mind as it is a very potent anti-inflammatory. Wait, is CBD really a treatment for schizophrenia? I’m a believer in it as a treatment for pain, anxiety and insomnia… but schizophrenia? hello David, i ask to you question what is side effect use to CBD oil from human body ? Johan, side effects for CBD Oil are included above in this review.